It all got pretty awkward between two of the biggest female stars in music at the weekend, judging from the look on their faces. together on the side of the Coachella stage on Sunday to watch Drake perform. Nicki, sporting a crown of feathers on top of her pink hair, looked thunderous as she turned her head away from Queen Bey, while the wife of Jay-Z seemed uncomfortable. 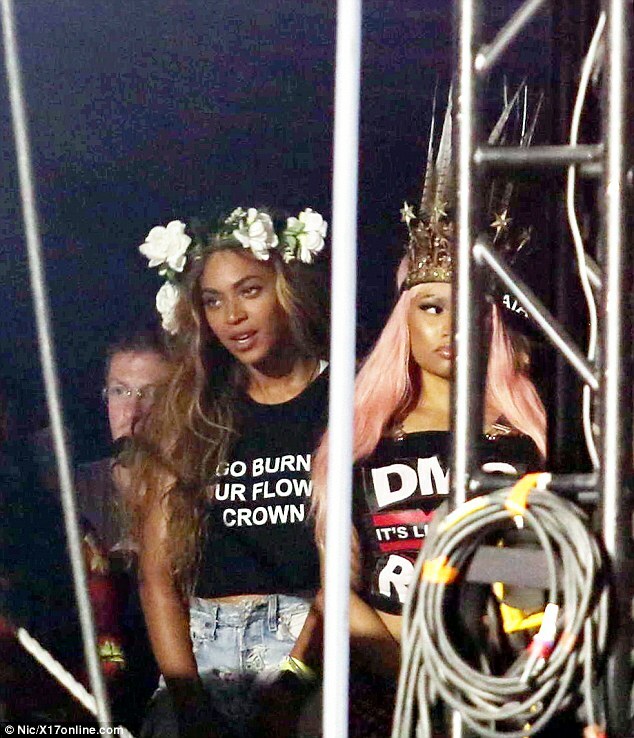 At one point Beyonce, wearing large flowers on her head, even awkwardly turned to Nicki and tried to break the tense atmosphere with a smile - but Nicki stared straight ahead and continued to ignore her. The Run the World (Girls) singer was wearing a t-shirt which read Go Burn Your Flower Crown and jeans. 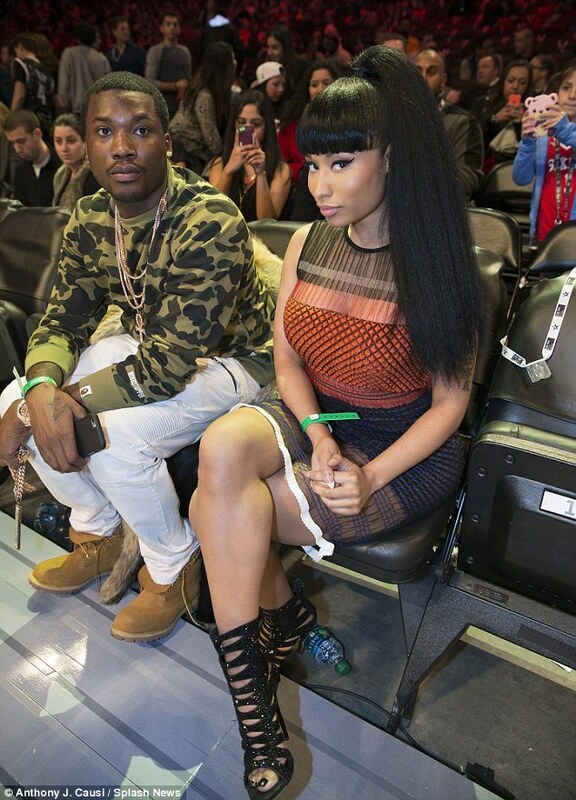 Stone-faced Nicki sported a Run DMC T-shirt as she stood next to the seemingly exasperated singer.